Welp, we will say that this is the debut episode even though it's actually episode 5 but Kurtis and Andy are artists so they do whatever they want. 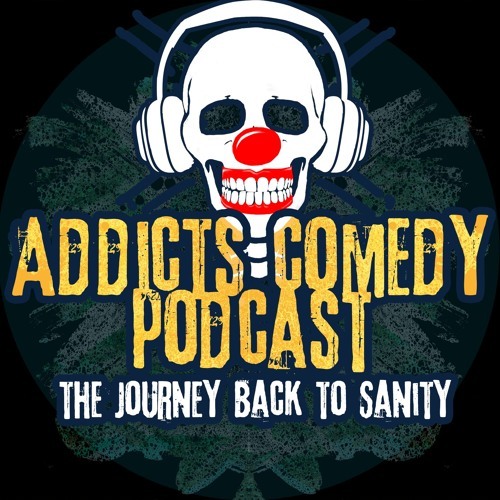 The good news is this is a proper introduction to the boys with some secrets from behind the scenes of the Addicts Comedy Tour. Y'all get to find out how Kurtis and Andy met and started working together. Kurtis pops off and accuses Andy of making bad comedy deals that only exist in Kurtis's imagination. Lots of frustration and yelling in this episode with a discussion of moments of clarity, Mormonism and why Andy's dad shoots pelicans in the face! You will not learn anything but we hope you will be entertained. Users who like Episode 5: Aggressively Non Famous with Violent Mood Swings! Users who reposted Episode 5: Aggressively Non Famous with Violent Mood Swings! Playlists containing Episode 5: Aggressively Non Famous with Violent Mood Swings! More tracks like Episode 5: Aggressively Non Famous with Violent Mood Swings!